Best Tips On How To Get Hired By Google - 8Figurez - Be Your Own Boss! Have you ever wondered what it takes to be a Noogler? I know so many people haven't heard of that word Noogler before and right now they might just be confused. Well, A Noogler is the term google use to refer new hires/workers while a Googler is someone already working with google. According to google , " There’s no one kind of Googler, so we’re always looking for people who can bring new perspectives and life experiences to our teams. If you’re looking for a place that values your curiosity, passion, and desire to learn, if you’re seeking colleagues who are big thinkers eager to take on fresh challenges as a team, then you’re a future Googler." Getting hired by Google is not something you can just achieve within seconds. you need to put in some hard-work here, put in extra effort before Google will approve you. With over 2million people applying for job at the company each year,it seems like getting hired at google looks more difficult than getting admitted to Harvard. As well as being on the forefront of technology, and hugely successful, Google is known for offering amazing perks to employees, including family leave, onsite wellness services and many more. Google is always high on the top employers list and universally considered to be a choice destination for workers. Only the most qualified candidates will make it through the sensitive screening process. If you wanna work for Google, you already know that you are not alone because there are millions of application directed to Google each year. Yeah, As we all know, getting work in Google company is hard but that doesn't mean it cant be achieved. what does Google want from people or employees they hire? Google is actually looking for people that have unique skills in some required areas. according to them, they mentioned " looking for people who can bring new perspective and life experience to our team". Can you apply for multiple jobs? Yes you can apply for more than one role at once, though Google recommend narrowing your choices down to a few jobs that truly match your skills, experience and interest. in a statement released by Google, they said that "You can apply up to three jobs within a rolling 30 day window. This limit gives our hard-working staffing team more time to focus on your application and helps you focus on the jobs that are the best match for your talents". So, how can you show Google that you have got what it takes to work with them?. Here are my few guides. 1.DO HAVE THE SKILL TO INSPIRE A TEAM? [At Google] you realize that you have a lot less levers, control, and power than you do at a lot of other companies. You don’t decide who to hire, or how big a bonus somebody gets, you don’t decide who gets promoted. You have to realize, first of all that you’re surrounded by amazing people, and number two, you don’t have any of the traditional leverage that’s used to get teams to do things. You’re forced to figure out how to add value without relying on power, and you do that by influencing, by giving people the opportunity to learn, and giving people more freedom. Moreover, Google is not the power-hungry. If you want to be hired as a manager, Highlight how you will inspire and support your team,Align your skills and experience with the job description, Be specific about projects you’ve worked on or managed. What was the outcome? How did you measure success?, If you've had a leadership role, tell Google about it. How big was the team? What was the scope of your work? According to Mr. Adrien Feudjio "Googleyness is a trait which is defined closely by phrases such as “Not just being cool, but really-really cool”, “Being out of the norm”, “Being an out-of-the-box thinker”, “Being Phenomenal, Amazing, Innovative, and Disruptive” and, of course “Being a status quo challenger”." Bock also described Googleyness as" people who are comfortable with ambiguity, bring something new to the mix and also have intellectuall humulity". Googlyness is actually another term the google team coined to describe what it means to be the right cultural fit. A Googlyness is someone who is an innovator that works well with others. you can read more about who a Googleyness is in Googles how we hire page. Just like Mr. Adrien earlier said, google needs people who are out of the norm, phenomenal, innovative, people that can think out of the Box. You actually need to be smart enough. Google recruits employees who have displayed high intelligence and who possesses a fascination with development in technology. According to Google : "At Google, we don’t just accept difference—we celebrate it, we support it, and we thrive on it for the benefit of our employees, our products, and our community. 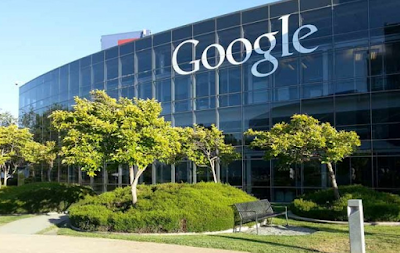 Google is proud to be an equal opportunity workplace and is an affirmative action employer." However, Google prefers candidates with broad base knowledge and skills as opposed to individuals with deep experience in a narrow field. After matching your interests to the job(s) you are excited about and the problems you want to solve, you will be reviewed by a recruiter, who will contact you if he thinks you may be a good fit. in a statement released by google they said "Google has a unique hiring process which can take several weeks. We strive to keep you updated, but don’t hesitate to reach out to your recruiter if you have any questions. If a committee recommends hire, the panel’s feedback is added to the candidate packet and sent to a senior leader—who provides another layer of objectivity—for review. " Your interview is a key part of the hiring process with Google . Google takes pride in their company's interest and diverse workplace. Google follows a behavioral interviewing approach. This means you will need to be ready to provide examples and anecdotes to back up your resume. according to google Here's our advice to help you be ready for your interview. Predict the future: You can anticipate 90% of the interview questions you’re going to get. “Why do you want this job?” “What’s a tough problem you’ve solved?” If you can’t think of any, Google “most common interview questions.” Write down the top 20 questions you think you’ll get. Plan: For every question on your list, write down your answer. That will help them stick in your brain, which is important because you want your answers to be automatic. Have a backup plan: Actually, for every question, write down THREE answers. Why three? You need to have a different, equally good answer for every question because the first interviewer might not like your story. You want the next interviewer to hear a different story and become your advocate. Explain: We want to understand how you think, so explain your thought process and decision making throughout the interview. Remember we’re not only evaluating your technical ability, but also how you approach problems and try to solve them. Explicitly state and check assumptions with your interviewer to ensure they are reasonable. Clarify: Many of the questions will be deliberately open-ended to provide insight into what categories and information you value within the technological puzzle. We’re looking to see how you engage with the problem and your primary method for solving it. Be sure to talk through your thought process and feel free to ask specific questions if you need clarification. Improve: Think about ways to improve the solution you present. It’s worthwhile to think out loud about your initial thoughts to a question. In many cases, your first answer may need some refining and further explanation. If necessary, start with the brute force solution and improve on it — just let the interviewer know that's what you're doing and why. Practice: Everyone gets better with practice. Practice your interview answers—out loud—until you can tell each story clearly and concisely. Have a question? leave a comment below..